Have you lost a limb in an accident? Attorney Vargas will fight for you as your dismemberment attorney in Rancho Cucamonga. Losing a limb is a life-changing event. Whether you’ve lost one toe or your whole arm up to the shoulder, you will be facing a lot of physical pain plus emotional distress as you try to learn to live without the missing part of yourself. As an experienced personal injury attorney, Fernando D. Vargas can put together a team of highly qualified and experienced expert witnesses who will be diligent in proving all your damages. This includes both clear, documented losses like medical care and lost income, as well as less tangible losses like pain and suffering. Attorney Vargas and his team will also make sure you get an accurate prognosis for recovery including any future medical needs, to ensure your future costs are properly estimated and included in your request for compensation. Attorney Vargas is a highly experienced dismemberment attorney in Rancho Cucamonga who has helped secure compensation for many individuals just like you. You can trust him to fight aggressively and effectively for your rights—even if you don’t have the ability to pay for representation right now. 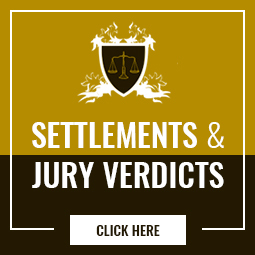 Attorney Vargas takes cases on a contingency fee basis, meaning he will advance the funds needed to prepare your claim and you will not have to pay him until after he wins your compensation. To learn more about hiring Attorney Vargas as your amputation attorney, please call 877-982-0707 now.